One San Diego police officer has died and one remains in surgery after a late-night shooting just south of Downtown San Diego. One suspect is in custody and authorities continue to search for other possible suspects, police said. At a press conference early Friday morning, San Diego Police Department Chief Shelley Zimmerman said the officers were conducting a traffic stop shortly before 11 p.m. Thursday in San Diego's Southcrest neighborhood when the shooting happened. Shortly after stopping their car, the officers called for emergency cover. When additional officers arrived on scene, they found both officers, who have not yet been identified, with gunshot wounds. One officer, who suffered multiple gunshot wounds, was taken in a patrol car to Scripps Mercy Hospital in Hillcrest. Doctors were unable to save his life. Stop "doing something" while pretending it is better than nothing. The results are now worse than ever. The latest suicide report from the VA proves that. 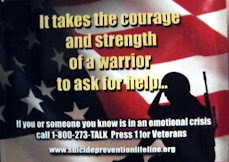 In 1999 their research showed 20 suicides a day but we had about 7 million more veterans in this country. 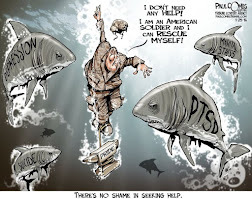 Too few had heard the term Post Traumatic Stress Disorder even though they were living with it. Now the report says there are 20 a day with less veterans alive to worry about. 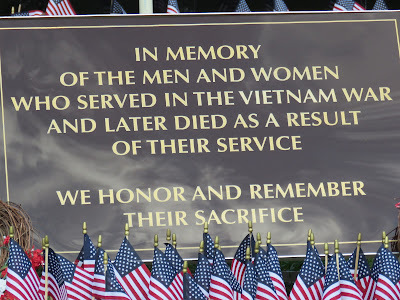 "Honor and remember their sacrifice" sounds good and for many, that is the truth. "Later died as a result of their service" is the part that shows far too few actually do it. 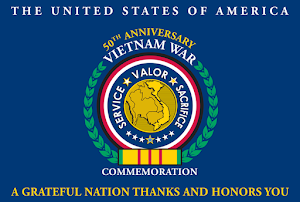 Had they cared enough then my generation would not be seeing the same thing we went through for the younger veterans and families just like ours. 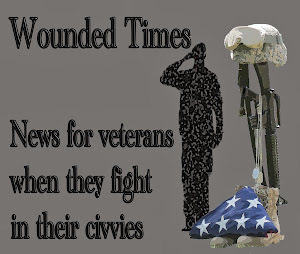 It is bad enough being forgotten in all the reporting done across the country as they attempt to tell the stories of veterans committing suicide and charities lining up to "do something" about all this, only to discover no one is talking about, or doing anything for the majority of the veterans losing the last battle after war. It is even worse to discover that absolutely nothing has been changed by any of it. 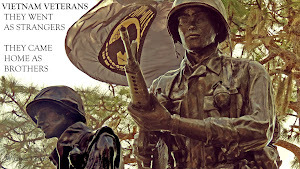 When our veterans came home, we suffered in silence. It wasn't that we didn't want to talk. It was because no one cared enough to listen. 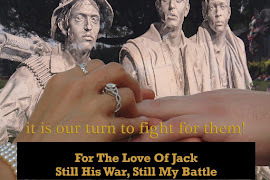 We didn't give up on the American public and many veterans took the fight to Washington, pushing for and obtaining all the funding for research into the wound all other generations came home with. 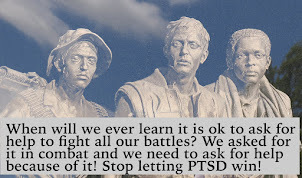 PTSD is not new and things have hardly improved. Garza shared little with Mata about the causes of the war within him before his death Sept. 18, when he jumped from a freeway overpass on the city’s northern edge. He clutched two yellow blankets that belonged to his young daughter as he fell to earth. 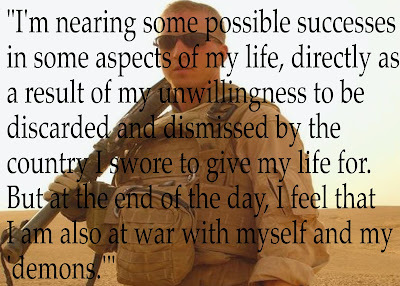 Mata knew only that he had received a diagnosis of post-traumatic stress disorder linked to his two combat tours in Iraq. The second ended in 2005, a full decade before his suicide at age 33, and six years before they began dating. LAREDO — Sara Mata has followed a morning ritual since marrying Manuel Garza five years ago. She pours two mugs of coffee and sits down beside him to talk about what’s on her mind, musing out loud about their children and families, about happy memories and dreams for the future. Until last fall, the conversations took place at the kitchen table in their modest apartment on Laredo’s south side, the couple surrounded by the clutter of family life. Now Mata sits at the foot of her husband’s grave in a city cemetery, shadowed by the anguish of loss. She talks to the white marble headstone that identifies him as an Army veteran who served in the Iraq War. She stays long enough that his coffee turns cold. As you can see, there are things that are in fact worse than nothing. It was easier to be suffering in silence thinking no one knew instead of they just don't care enough. WASHINGTON – Five U.S. servicemembers were wounded in recent days fighting militants aligned with the Islamic State group in eastern Afghanistan, Army Gen. John “Mick” Nicholson said Thursday. The American special operators were accompanying Afghan special forces this week in southern Nangarhar Province, where the Afghans began a major operation that aimed to route the militants from the country, said Nicholson, the top American commander in Afghanistan. None of the injuries were life-threatening, he said. Two operators were quickly returned to their units and three were evacuated from Afghanistan for further medical treatment. 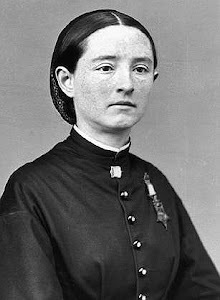 VA Denying 1 Out of 3 Emergency Care Claims? (WSAW) -- Fearing the Department of Veterans Affairs would deny his claim, a disabled Pittsville, Wis., Gulf War veteran avoided going to his nearest emergency department during a recent medical scare. “My pillow was covered in blood,” Jerry Zehrung said, who lived with a constant infection risk since, having his hip resurfaced eight years ago. NewsChannel 7 Investigates discovered a VA executive admitted there are a large number of denied veterans’ emergency treatment claims. The VA Assistant Deputy Undersecretary for Health for Community Care, Dr. Baligh Yahia, testified before a Veterans’ Affairs subcommittee in February. 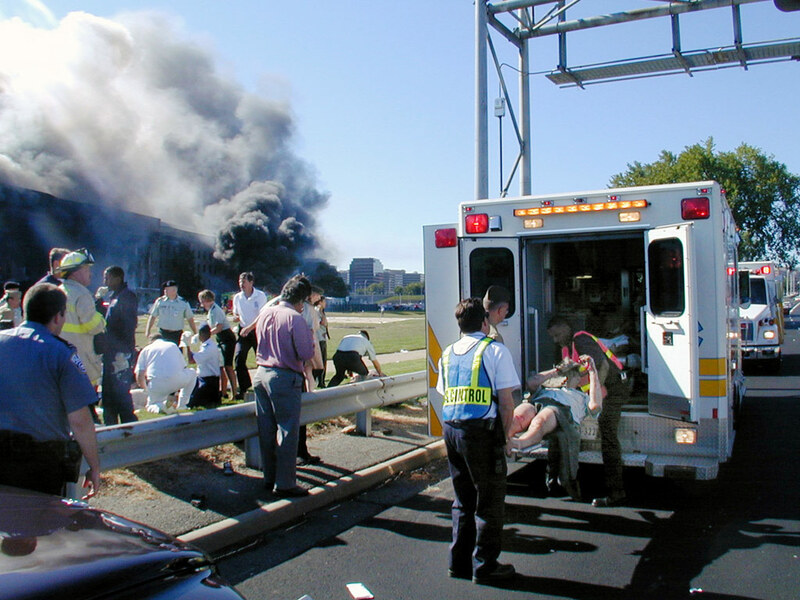 Yahia told members of Congress, during the 2014 budget year, approximately 30 percent of the 2.9 million emergency claims filed with the VA were denied. Of those 870,000 denied claims, Yahia said 89,000 were late. Another 98,000 were not emergencies. There were 140,000 claims denied because a VA facility was determined to have been available. In addition, 320,000 more claims were denied because the veteran was determined to have other health insurance that should have paid for the care. "Nor did doctors clue in Lisa about the extent of her husband’s inner turmoil — or, for that matter, anything at all about his condition. This, despite the fact that Luis signed a consent form explicitly naming her and authorizing VA officials to inform her if the 'patient may do harm to him/herself.'" Luis Mariscal Munoz called the Phoenix VA Health Care System to say he wouldn’t be coming in to work. He drove to a shooting range at the Table Mesa Recreation Area off Interstate 17 and parked. At about 6:30 p.m., having walked about 70 feet from the car, he put a borrowed nine-millimeter handgun to his head and pulled the trigger. An hour later, Luis’ wife, Lisa Mariscal, arrived at the West Phoenix home the couple shared with their two dogs. 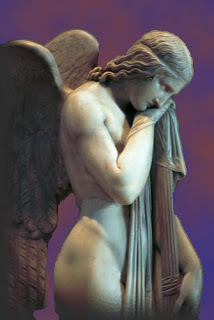 Luis had texted her: something about how he was sorry and to read the note he’d left for her. She’d tried to call and text him back, but there was no reply. Lisa knew that for the past month, her husband had been attending weekly therapy appointments at the VA on Indian School Road, where he worked as a medical laboratory technologist. 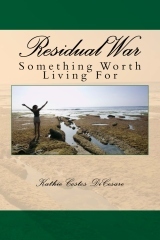 She was aware that a psychiatrist there had prescribed an antidepressant. But Luis had told her he was just suffering from anxiety. Then she read the note. • On May 10, 2015, U.S. Army veteran Thomas Michael Murphy killed himself in the parking lot outside the VA’s Phoenix Regional Benefit Office. At the age of 53, he was homeless. Before shooting himself, he e-mailed a suicide note to New Times, in which he blamed the VA for his death. “Thanks for nothing VA,” he wrote. 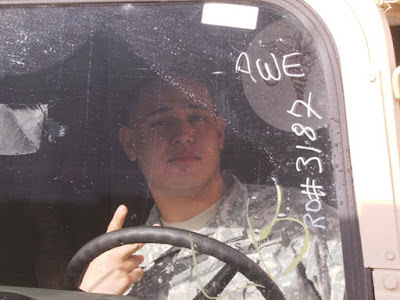 • On July 23, 2015, former U.S. Army Ranger Antouine Castaneda shot and killed himself. He was 32. After serving in Iraq and Afghanistan, Castaneda had sought help at the Phoenix VA, where psychiatrists noted that he was at high risk for committing suicide. VA whistleblowers would later allege that he had not been provided with proper mental-health care. Also there are more online and you can find them. PHOENIX - A veteran who was reported missing weeks ago was found dead at the Banner University Medical Center on Sunday. According to the Phoenix Police Department, 34-year-old Guido Feruglio was found on hospital property dead. "Indications are he took his life," Officer James Holmes with Phoenix police said. Sgt. Hawn was 35-years-old when he was killed in Iraq by a roadside bomb in 2005. He was a 1989 graduate from LaVergne High School in 1989 The items left at Goodwill were in his wallet the day he died. Every once in a while Shane Hubanks and his employees at the Mt Juliet Goodwill find something that doesn't belong inside their store. Such was the case in May when a shopper brought in a small bag to donate, that no price tag could ever do justice. In the bag was a driver's license, family photos and a dog tag. Inscribed on the tag was Sgt. Asbury Freddie Hawn's name. Passengers Honor WWII Soldier Sacrifice With Glory! The Iowa Ambassadors of Music Choir found a unique way to honor a fallen World War II veteran. The choir was on a flight returning from Germany to the United States, along with an Army private who was escorting the remains of a soldier who fought in World War II. After the plane landed in Atlanta, the pilot announced the private would be exiting the plane first, explaining his mission and that he would be continuing his trip to Houston, the fallen soldier’s final destination. PANAMA CITY — A man who thought he was lending a helping hand to a fellow veteran and former prisoner of war instead was swindled out of thousands from his savings that he likely will not see again, according to arrest records. Robert “Bob” Leroy Rogers, 61, was arrested Monday in connection with the scheme. According to police, Rogers claimed to be a veteran and former Vietnam POW with financial troubles in order to borrow more than $18,000 from an elderly neighbor. Rogers allegedly told 74-year-old William Lipovsky, a former air force master sergeant, he would repay him with up to $1 million after he received a large settlement from the government for his service. However, after several delays and conflicting stories about whether he would be reimbursed, Lipovsky contacted the authorities. The military was mourning two soldiers Tuesday who were fatally shot while trying to protect a woman from a gun-toting man in a South Carolina bar. Staff Sgt. Charles Allen Judge Jr., 40, and Sgt. First Class Jonathan Michael Prins, 29, "were acting as good Samaritans when they were shot," said Capt. Adam Myrick of the Lexington County Sheriff's Department. When a veteran with PTSD and serving probation failed a drug test in April, Olivera sentenced the man to a night in jail and stayed with him, too, to help him cope. FAYETTEVILLE, N.C. (Tribune News Service) — Cumberland County District Court Judge Lou Olivera has been cited by the North Carolina Chief Justice's Commission on Professionalism for his work with a veteran in his court. Olivera was presented with the Award for Meritorious and Extraordinary Service during a ceremony Friday at the Chetola Resort in Blowing Rock, says a news release from the N.C. Administrative Office of the Courts. "The Chief Justice's Commission on Professionalism presents the CJCP Award for Meritorious and Extraordinary Service to the Honorable Lou Olivera for his steadfast commitment to the principles of professionalism as evidenced by his efforts to go above and beyond the call of duty by his tremendous act of humility and compassion toward a troubled veteran in his court," said Chief Justice Mark Martin. "Because of his selfless efforts, the practice of law will continue to remain a high calling in North Carolina." Olivera presides over Cumberland County veterans court, a venue that takes into account the experiences and troubles veterans who get in trouble with the law may have from their military service. HUMBLE, TX (KTRK) -- A 26-year-old Army veteran was found in Cypress after escaping from a hospital in Humble. Shane Zhan was being treated at Memorial Hermann Northeast after attempting suicide. According to the Humble Police Department, Zhan escaped Sunday. His father, Mark Zahn, tells abc13 that Shane walked from Humble to Cypress and started talking to an elderly pastor. The pastor convinced him to contact his family, according to Mark. Danielle Ursell is his twin sister. She and the rest of her family were concerned Zhan was a danger to himself. She said he suffers from post traumatic stress disorder and has been reluctant to get help. "Keeps the problems inside, doesn't want to talk with anybody," Zahn said. "Doesn't want to share his problems with anybody." Zahn wants to know how his son was able to escape. Bundy served in the Army from 1942-1963, seeing combat in both World War II and the Korean War, and was active duty during Vietnam before retiring from Fort Hood as a Sergeant. Officials said he served honorably and would receive full military honors. KILLEEN - His family wouldn't claim him, but the military did. 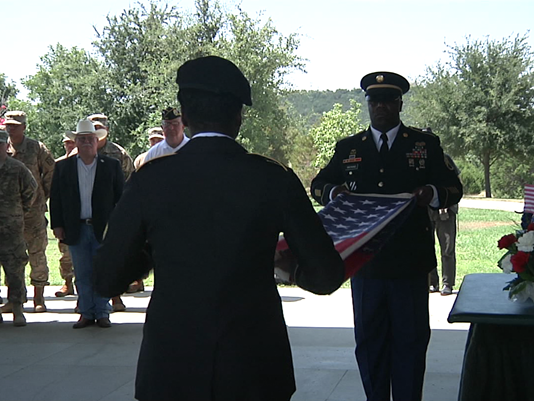 On Monday, a local veteran who fought for our freedom through three wars, was laid to rest in Killeen. While Walter Scott Bundy Junior's living family members didn't show up to his burial service at the Central Texas State Veterans Cemetery, many did to show support for the man they said was their 'brother' in every sense of the word. "They have a home, they have a family," said Eric Brown, Deputy Director of the Texas State Veterans Cemeteries. Many who attended the ceremony saluted Bundy, laid their hands on his urn, even gave money to the man they'd never met. "No one is ever forgotten, they're lost but never forgotten," said Army Staff Sgt. Christopher DeRouen. Dozens of soldiers, past and present, came to Killeen to honor one of their own who died without a family of his own. During his 11 years in the Marine Corps, Tooley deployed four times: twice to Iraq and twice to Afghanistan. Police are looking for the driver of a car that hit and killed Marine Sgt. Michael Andrew Tooley earlier this month in North Carolina. Marine Sgt. Michael Andrew Tooley was killed on July 16. 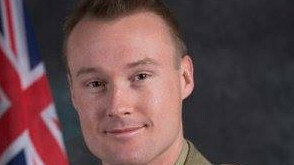 Tooley, 28, was a combat engineer whose duty at the time of his death was as a drill instructor with the support battalion at Marine Corps Recruit Depot San Diego, said Marine Corps spokesman Capt. Matthew Finnerty. Tooley's commander, Lt. Col. Tracy Perry, said "the loss of any Marine under any circumstance is a tragedy, especially in this situation." "We offer our deepest condolences to the family of Sgt. Tooley,” Perry said. 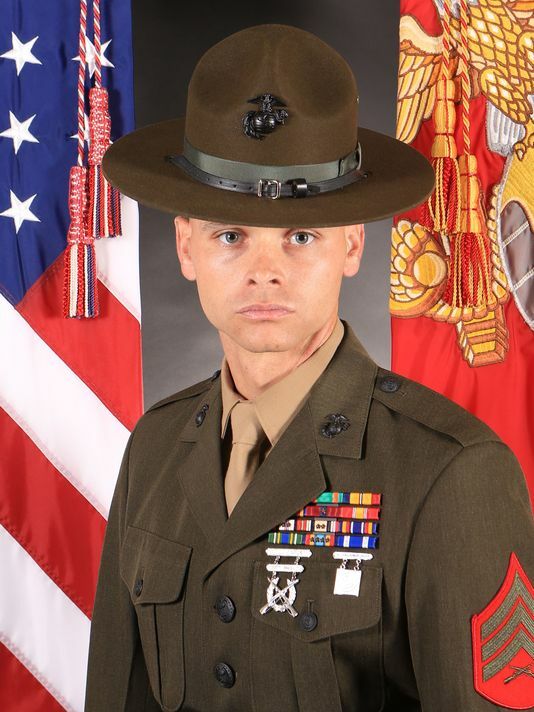 “He was a stellar Marine and will be remembered for his dedication to the Corps and the men and women he served with, as well as those he transformed into the future generation of Marines." "That would mean the world to me," Jeremiah said. "I've had two goals in my lifetime - to be a Marine and to be a drill instructor. If he was a normal child, he's just got that spirit that I think he would have joined the Marine Corps as well." ORANGE, Calif. (KABC) -- Wyatt Gillette's smile lights up his parents' spirits. "He knows when people are feeling down and he changes their attitude with a smile," said Wyatt's father, Jeremiah, 29, a U.S. Marine drill instructor. He first set eyes on his son when he returned from serving in Iraq nearly 8 years ago. 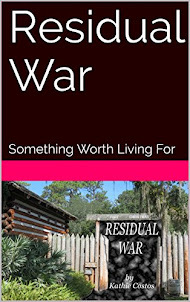 "When I arrived back, I had maybe two weeks of normalcy, if you can call it that, and he became real irritable," recalled Jeremiah. Doctors tried to figure out what was wrong, as Wyatt regressed. Despite all the hospital visits, Wyatt kept a positive attitude - doing what he loved to do. "He loves his bike, he loves the sounds of kisses, he loves doing crafts," said his mother Felishia, 27. Why Isn't The Press On Suicide Watch? 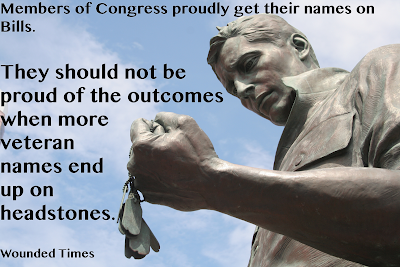 Military Lives Lost, Congress Doesn't Care About Cost? What the hell is going on in Washington? Is anyone really paying attention to what the already elected have done while covering those wanting to be elected? 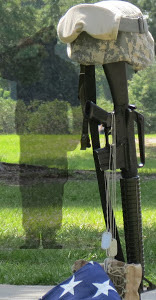 There were 110 military suicides in the first three months of this year. Top that off with the latest suicide report from the VA with "20 a day" as the number they report along with the simple fact there were about 7 million more veterans in 1999 and the same number reported as taking their own lives back then everyday. The press does not seem all that interested. They were not interested in 2007 either. So why isn't the press on suicide watch if they care at all about any of this? You can just picture what goes on in Washington when a grief stricken family goes to talk to their elected official begging them to do something about suicides so that no other family has to go through it. Then the politician promises them they will take action. They call up a buddy and promise a boat load of cash to come up with some funky program, then they write a bill to get their name on it. Doesn't matter if it has been done before and failed as long as this new one has their name on it, that is really all they care about. Sounds absurd to some but to others, it has been a nightmare. 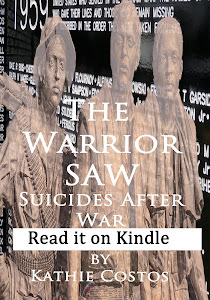 The Associated Press reported on August 17, 2007 the 2006 Suicide Rate for Soldiers Sets a Record for the Army and it turned out that was the highest number in 26 years. Investigations are pending on two other deaths. Officials reported 948 suicide attempts, but there were no comparisons for previous years. In the 500,000-member Army, the suicide toll translates to a rate of 17.3 per 100,000, the highest since the Army started counting in 1980, officials said. The rate hit a low of 9.1 per 100,000 in 2001. Yes you read all that right so no need to check your glasses. 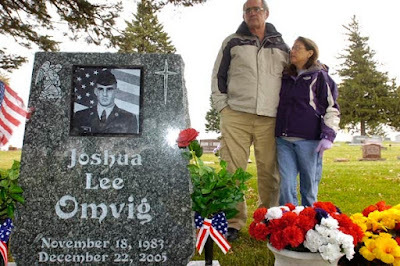 One of the family members going to Washington was the family of Joshua Omvig. Well they wrote a bill with Omvig's name on it, voted on it and it was signed by President Bush in 2007. It was supported by Rep. Bob Filner who had this to say. "Mr. Speaker, I move to suspend the rules and concur in the Senate amendment to the bill (H.R. 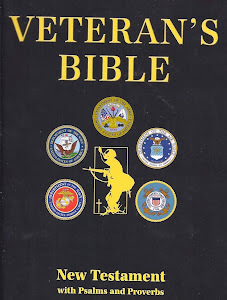 327) to amend title 38, United States Code, to direct the Secretary of Veterans Affairs to develop and implement a comprehensive program designed to reduce the incidence of suicide among veterans." Sounds like they all cared. Especially this part. Mr. Speaker, before I introduce the author of the legislation, I just want to say in introduction, unfortunately, suicide prevention has become a major part of our responsibilities to both active duty and our veterans. 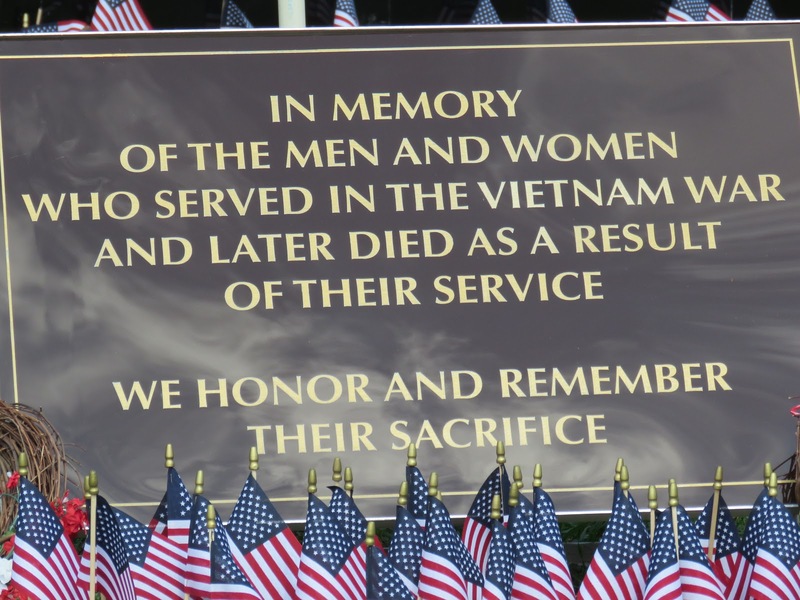 It is a terrible statistic, Mr. Speaker, but as many Vietnam veterans have now committed suicide as died in the original war. That is over 58,000. We have to do as a Nation a better job. 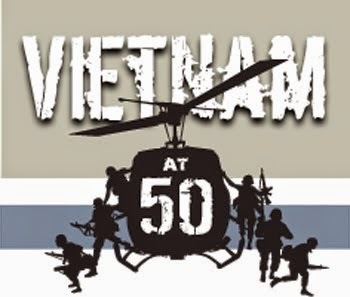 The Army just announced recently that the suicide rate among active duty and recently discharged has now reached Vietnam proportions. So we have to do a far better job and we intend to do that. The author of the original legislation, Mr. Boswell from Iowa, saw this very clearly and introduced this bill. Looks like no one has been seeing much after that considering the number of enlisted went down and suicides went up. More families hoped that their story, their suffering would make enough of an impact on the politicians but they just repeated what they promised the Omvigs, over and over and over again. So that press repeats what the DOD says and does not seem all too willing to ask many questions at all. Why? Do you think any of this would matter to do some basic research? The latest from the Department of Defense is for the first quarter of 2016 Suicide Report. 58 Active Military, 18 Reservists and 34 members of the National Guard. You'd think that 110 lives lost to suicide in three months would be important enough to mention but then you'd also have to think that they would find it worthy of mentioning that all this comes after almost a decade of "prevention" being paid to produce higher rates of suicide. Oh, no, not just from current members but among the younger veterans committing suicide at triple their peer rate. Nice little secret they don't seem to want to talk about. If they are no longer in the military, they don't matter and the DOD does not have to mention a word about them, even though they trained them to "prevent" this and be "resilient" enough. Ok, just to go a bit more into proving this, take a look at the chart on the link above. Notice how they also have in other years going back to 2012. If you read Wounded Times all the time, then forgive me but this is worth repeating, since no one else is talking about this. What we are going to do here is compare what the press told us about how many service members committed suicide against what the DOD has in the latest report. They missed a few. Then on 2/2/2013 they had "325 Army suicides in 2012 a record" so either the DOD is wrong or CNN is wrong but the bottom line is that all of this is all wrong! How can they go up after all the "efforts" to keep more alive than are killed in combat? According to the report, 259 troops on active-duty status died by suicide in 2013, down from a record 319 in 2012, including 115 soldiers, 42 sailors, 43 airmen and 45 Marines. During the same time, 220 members of the Selected Reserve and Guard (87 and 133, respectively), died by suicide, up from 203 in 2012. There were 229 deaths by suicide among active component service members and 220 deaths by suicide among selected reserve component service members (87in the reserve and 133 in the National Guard). But taking a look at the reports from the Department of Defense Suicide Event Reports we find this. 2012 319 suicides among Active component Service members and 203 among Reserve component Services members (Reserve [n = 73]; National Guard [n = 130]. A total of 1,034 SMs had one or more attempted suicides reported in the DoDSER for CY 2013. 2014 269 Active Component deaths and 169 Reserve Component deaths were attributable to suicide. Personnel strength of the Regular Army has dropped below 500,000 for the first time in 10 years, with 498,642 soldiers being listed on active duty in the most recent official headcount of the force. 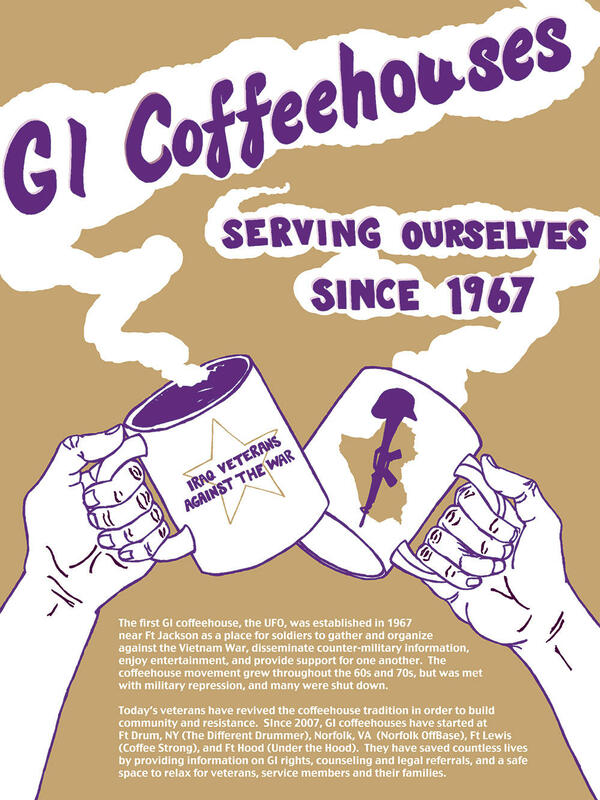 Statistics compiled by the Defense Manpower Data Center show that as the Army entered 2015 its reserve components had a combined strength of 547,007 soldiers — 349,881 in the National Guard, and 197,126 in the Army Reserve. The Army drawdown is on track to reduce the active component to 490,000 soldiers by Oct. 1, as required in the fiscal 2015 budget authorization from Congress. So what the hell is really going on and who is benefiting from it? The troops are not. Veterans are not. Who is getting all the money Congress has been spending over the last decade and WHEN THE HELL WILL ANY OF THEM BE HELD ACCOUNTABLE FOR ANY OF THIS? OLYMPIA, Wash. — The Thurston County Food Bank receives emails from people who want to help every day. Some offer an egg carton or loaf of bread. Others help wash cars or give cash donations, usually $10 to $50. Wealthier local residents sometimes make donations in the range of $1,000 or $2,000, reported The Olympian. 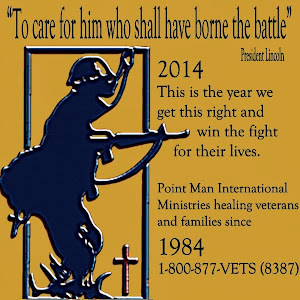 If you read Wounded Times then you know about Point Man International Ministries being started by a Vietnam veteran, Seattle Police Officer meeting other veterans for coffee to help them heal. Just thinking about that simple act of kindness and time saving so many lives makes me proud to be among them. "Keeping a promise to a mate is a value ingrained in the Aussie consciousness but, for Legacy, it's not just a belief; it's a solemn duty the organisation has proudly upheld for more than 90 years," Terry Dillon. LEGACY OF GIVING: Terry Dillon has been giving to Legacy for 37 years. TERRY Dillon might look more like a grandfather than a hero but he is both. As a volunteer with Legacy, Mr Dillon has made life a little better for the spouses and children of veterans who did not return intact from conflict zones as he did, or who have since passed away. During 37 years as a Legatee, he has helped "fill the gap" for about 200 of widows and their children whose husbands have died or been incapacitated by post traumatic stress disorder. He is one of 46 Legatees on the Coast who support 1300 widows,15 children, including five under 10, and 15 dependents with disabilities. 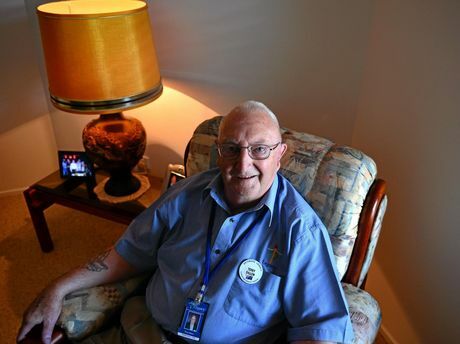 The Vietnam Veteran could have put his energy into the community in any one of ways but was drawn to looking after the dependents of less fortunate diggers. "Being a returned servicemen, I wanted to look after the widows and children of returned servicemen," he said. SANTA CLARITA, Calif. (KABC) -- A firefighter with the U.S. Forest Service learned his home was burned to the ground by the Sand Fire while he was battling a blaze at Camp Pendleton. Capt. Christy Wise frantically waved her headlamp flashlight to alert a boat jetting toward her to turn away. But Wise, a HC-130J rescue squadron pilot, quickly realizing it was too late, dove as far down to save herself. When she surfaced, she knew the boat’s propeller had severed her right leg. Almost a year later, Wise — who thought it would be the end of her pilot career — is back in the cockpit, and flew her first mission Friday at Moody Air Force Base, Georgia, where she is stationed. She is the first female Air Force amputee to return to flight, the service said. “I have been blown away with the amount of support I’ve had to ... achieve my goals,” Wise told Air Force Times on July 21. On April 11, 2015, she and her boyfriend were paddleboarding in a cove near Shalimar, Florida. “When I surfaced I immediately thought, ‘Dang it, I should have had a brighter flashlight’,” Wise said. But she later learned it was a hit-and-run accident as the boat did not stop or slow down. About a week ago I got into a conversation with a young veteran about suicide. There have been numerous reports of veterans calling the Suicide Hotline and not getting the help they needed when they needed it. I asked her why they do not just call 911 and ask for help. She said they do not want to get stuck with the bill. Stunning I know but it very well may play a part in veteran in crisis not wanting to add more burden on their shoulders. While Enhanced Eligibility for VA Healthcare has extended free care for combat veterans up to 5 years, too many veteran do not use it. 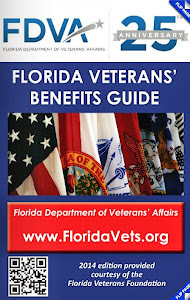 Veterans, including activated Reservists and members of the National Guard, are eligible if they served on active duty in a theater of combat operations after November 11, 1998, and have been discharged under other than dishonorable conditions. And this part is something else to pay attention to. Veterans who qualify under this special eligibility are not subject to copays for conditions potentially related to their combat service. However, unless otherwise exempted, combat Veterans must either disclose their prior year gross household income OR decline to provide their financial information and agree to make applicable copays for care or services VA determines are clearly unrelated to their military service. If you know a veteran in crisis and they cannot get help from the Crisis line, have them call 911 and ask for fire rescue. I have talked to firefighters and police officers about this. If you call for police, what happens is a veteran in crisis can find themselves under more stress when they see a police officer yet when a firefighter shows up, there is less stress. Most of the time police officers will go with the department just in case but are there just in case things get out of control. Keep in mind that a lot of police officers and firefighters are also veterans. They get it! As for the bill, let the VA sort that out afterwards. If you are among the veteran with less than honorable discharges CALL 911 and save your life so you can fight to have the discharge changed. There are about 140,000 of you that happened to adding to the veterans from previous wars having their discharges changed. Do not pay the cost of service with your life! Since 2000, data suggests nearly three times as many active Australian soldiers and nearly five times as many veterans have committed suicide as have died in Afghanistan. But before Paul, almost none had been nationally recognised. ON the second-last day of 2013, a stranger arrived in Saranac Lake, a 5400-person mountain town 112km shy of the Canadian border. Set amid the patchwork of forest preserves and villages, Saranac Lake is the “Capital of the Adirondacks”, a one-time best small town of New York, and the place where I’m from. He was a 31-year-old infantry captain in the Australian Army who had been diagnosed with post-traumatic stress disorder after returning from Afghanistan two years before. He arrived on the one bus that comes each day: an Adirondack Trailways coach that chugs slowly uphill from Albany. To get to Albany, he’d travelled more than 17,000km. 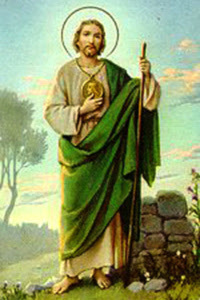 He was good looking – wholesome and tidy, with intelligent eyes. He’d been a battle captain in Afghanistan’s Oruzgan province, near Kandahar, working as part of Mentoring Task Force 3 with about 700 other Townsville soldiers. But he had a medical review coming up and, his family would later tell the police, he feared he might be discharged. On New Year’s Eve, he bought a shovel and a blanket at the shopping plaza and set off on foot towards Lake Placid. Department of Defense released the first quarter of 2016 suicide report. In the first three months of 2016 there have been 110 reported suicides. All adds up to what they are doing is not working and they keep dying because no one is held accountable for failure to help them heal! Yocher served six years in the U.S. Army, including one tour in Iraq. He then transferred to the Air Force and served a second tour in Iraq. He received honorable discharges from both branches, according to a Dream Foundation release about the September 2015 event. WATERBURY — A Waterbury police officer who was found dead Wednesday morning outside a slain man's home had committed suicide, state police said Friday. Hallock Yocher, 37, killed himself in the backyard of 31-33 Marion Ave., state police said. Authorities on Friday also identified the second victim, James T. Stuart, 39, and said he died from multiple gunshot wounds in his third-floor apartment at 31-33 Marion. State police are investigating the relationship between Yocher and Stuart. Investigators have not mentioned any suspect in Stuart's murder. Earlier, police called it "an isolated incident" and said there was no threat to the community. Yocher, a 10-year veteran of the department, had been battling Hodgkin lymphoma, a cancer of part of the immune system. He was on the job despite his illness but off duty at the time of the Marion Avenue incident, police said. In January 2014, Yocher, his wife and three children went to Walt Disney World, SeaWorld Orlando and Universal Orlando in Florida, a trip paid for by the Dream Foundation, a California nonprofit that helps terminally ill adults fulfill end-of-life dreams. When Does Suicide Become An Unacceptable Outcome of War? 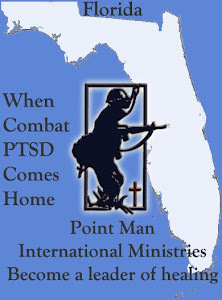 They call PTSD an "invisible wound" assuming it cannot be seen. After all, it is not a wound of the flesh. Well, you cannot see gravity either, but you can see what it does. Gravity keeps everything grounded so nothing is up in their air. 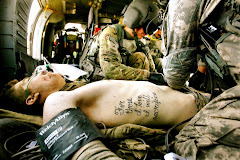 In the same way, you cannot see this wound if you look at a veteran but you can see it if you know the veteran. Cry for help goes unanswered, suicide follows, a report about Brandon Ketchum on Quad City Times, tells the story of a Marine with two deployments between 2004 and 2008 and then another one after he was diagnosed with PTSD. He "posted to Facebook a 148-word account of his previous day's visit to the Veterans Affairs Medical Center in Iowa City. The 33-year-old Davenport man had hoped his "emergency appointment" would result in an admission to the psychiatric unit, where he'd found help before." The thing is, no one saw it until it was too late. He sent the message at 2:11 am when most people were sleeping. Most of the country is still sleeping when it involves veterans in crisis. When do we actually find suicide an unacceptable outcome of war? 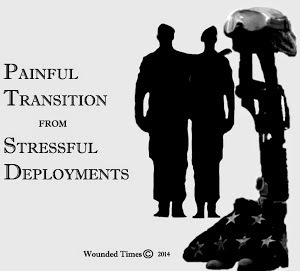 Ketchum was in the Marines until 2013, long after all the "PTSD prevention" Power Point slides missed the power of the point that this is a wound not caused by any type of weakness but caused by the strength of their emotional core. Long after "suicide prevention" was supposed to keep more alive after combat and over four decades of efforts to help remove the stigma of this, yet he was still carrying it on his shoulders being crushed by the weight of his burden. "Asking for help has only clouded my life with such a stigma that I have carried the 'crazy' or 'broken' labels, forcing me to have to fight for custody of my little girl that I love more than the world." 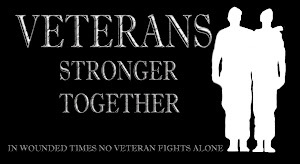 Some veterans have their families turning their backs on them and they end up alone, on the streets and still suffering. Ketchum had family and friends there for him. There are some who never seek help, but Ketchum did. Brandon said he already had been diagnosed with PTSD by the time he left Iowa for his third deployment. 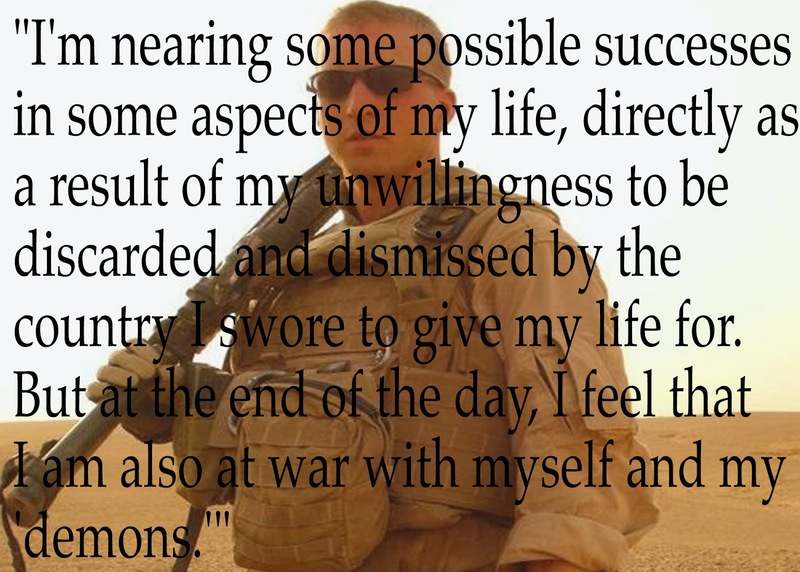 He was taking antidepressants while serving in Afghanistan. By the end of that abbreviated tour, he was also prescribed narcotic pain pills. He wanted to heal and wanted to start the next part of his life but was trapped because none of the help he received was enough to heal his soul. The gravity of this wound is strengthened because the simple truth of it is not something they have been shown. It attacks "serious or dignified behavior; dignity; solemnity" because they are left feeling ashamed of it instead of understanding it. 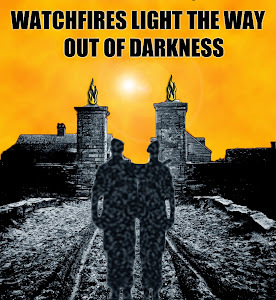 The same strength of their core that allowed them to carry that burden while others were in danger comes from the same place where it ravages them when the only ones in danger are themselves. So when do we change the conversation? When do we stop using "invisible" as if that is an excuse for us leaving so many abandoned? If we do not see it, then it is easy to swallow the "raising awareness" crap when talking about the problem has nothing to do with the solution. Are we finally ready to actually look at the "efforts" the DOD has been doing for over a decade and demand accountability considering evidence proves it does in fact to more harm than good? Are we ready to demand accountability from the thousands of folks running around the country getting plenty of press coverage for what they want to talk about without ever once having to answer for what they know nothing about? 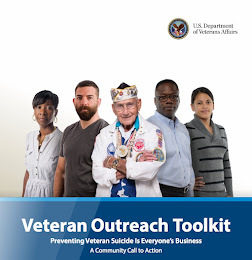 How many more times do we actually have to read about veterans like Ketchum before we have reached the "one too many" suicides we find acceptable?